Chaos: Each player chooses one of their characters involved in the faceoff. All other characters involved in the faceoff are no longer involved in the faceoff. 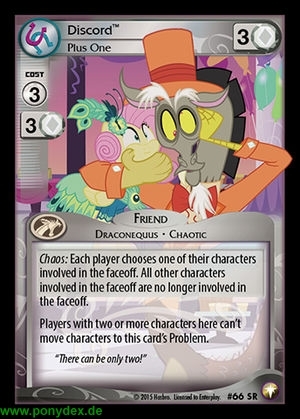 Players with two or more characters here can't move characters to this card's Problem. "There can be only two!"